Rouses Supermarket was founded in 1932 by J. P. Rouse as City Produce Company in Thibodaux, Louisiana. The company was established with the sole purpose of buying produce from local farmers and suppliers in Lafourche and Terrebonne Parishes prior to shipping them across different cities in the United States. Currently, Rouses Supermarkets are considered to be grocery market chains situated in the states of Mississippi and Louisiana in the United States. The company has grown gradually over the years following its inception. A grocery store was opened in Houma, Louisiana by Anthony Rouse, J. P. Rouse’s son in the year 1960. Ten years later, other stores were opened in Thibodaux, Houma, and Raceland. Other additional company stores were established in the Southern part of Louisiana and communities like Morgan City, Lockport, and Cut Off. 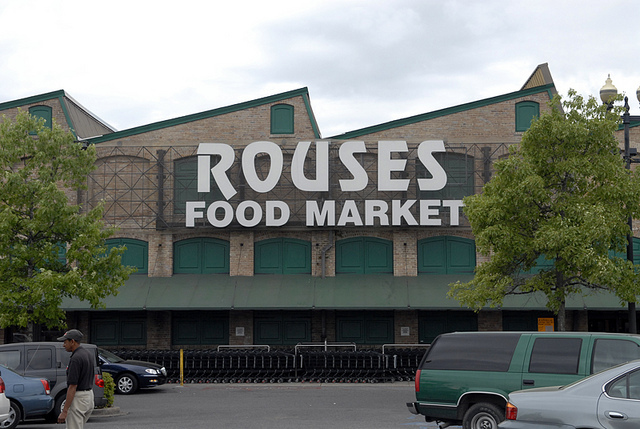 The first Rouses store was opened in 1995 in Metairie, and by then it was Louisiana’s biggest independent grocer. A fifty-four thousand square foot grocery store was opened by Rouses in the year 2003 in Covington. Shortly after, two other stores were open in the year 2005 in Mandeville and in 2006 in Slidell. The A&P Southern section of Sav-A-Center stores was acquired by Rouses in 2007. This was two years following the devastation of the New Orleans area by Hurricane Katrina. The acquisition doubled the size of the company and led to establishment of the company’s first stores in Mississippi and in New Orleans. Two other stores were acquired in Mississippi in 2008. Other stores were opened from 2009 through 2013. The recent development is gaining the ownership of six Belle Food Stores in Alabama. It is evident that Rouses Supermarkets are likely to grow and expand further in the coming years. I travel to New Orelans twice a year. I departed New Orleans on Thanksgiving morning, stopped at Rouses to buy the Cajun speacialties. Placed the meats on ice and they stayed frozen all the way back to Chicago. The meats were excellent, wish I could order more! The stores are excellent. We ordered your DeluxeThanksgiving Dinner for our family from you Gulf Shores Stores Deli a week ahead after seeing your ad. I can’t begin to to tell you how upset I was when I got home and looked in the boxes. While I knew the food was going to need to be heated through, I had know idea that meant putting in my pots and pans and basically cooking it! The food came in plastic containers that were the same as container’s in the deli for general public. Point being if that’s what I wanted why pre order?! I have no idea when any of the items I came home with were prepared! But I can tell you it was nut fresh in any way shape or form! My day started with tears and frustration from trying to find enough pans to not only cook this mess food, but to doctor it up to even make it appear edible!! Needless to say the majority of the food went uneaten and into the garbage can! I called the Deli manager from our Gulf Shores Alabama store “Tom” and he informed me that many were complaining over your misleading advertising! He said the flyer was from last year, when things were done fresh and in ready to warm and serve containers and told be to email you at this address. I wish I had known beforehand because it would have been less stressful and tasted better if I had just cooked the whole meal myself! I didn’t get to spend the quality time with my out of town family as planned because I was again crying and trying to salvage the expensive garbage I was given! Very, very disappointed in you Rouses! A very stressful expensive lesson learned!! I say that because we had ordered doubl the amount of sides! And extra sides! Never, ever again! I will not be back– I bought 4 of your Butterfinger fun size packs for 5.00….. THEY ARE EXPIRED as of a MONTH AGO- I just bought them a week ago!!! My husband and I bought some of your large pork spare ribs this morning at the Rouses Market #50 in Theodore, AL. We planned on cooking them today for our family. I always boil my ribs to make them tender and cutting down on the cooking time. Making a long story short, the ribs were terrible. They were tough, hard to cut with a knife and very hard to chew. We will not be buying anymore ribs or any type of meat from your store. It’s not the cost which was $6.71 for a slab of ribs, since your store had them on sale, it’s the quality of meat. We will not recommend your meat market to anyone. Like the other commenter previous, I go to Rouse’s when I travel to get some items I cannot get here in Ponchatoula like Kombucha tea and almond butter fresh, the salad and food bar. THRILLED to hear that you are buying the Winn-Dixie store right close to my house! Good luck although you will not need luck here. Hello, I emailed you a few weeks ago following my shopping experience at your Gulf Shores , Al. location. I live in Tuscaloosa Al. and work in food service. Tuscaloosa needs and can support one of your stores , particularly in the midtown area. I hope that news of the opening of the new Rouses’ Market will soon be a reality. I wanted to vent about the fact that two times I have bought bakery goods and both times threw them away as they were uneatable. Yesterday was the 2nd and last time. I got the rolls that were pineapple and cherry filled. Smelled like the fruit was fermenting. and tasted worse. I won’t be buying much from the store on Theodore Dawes Rd in Theodore any more.